the unholy trinity – 1malaysia, barisan nasional, unscrupulous housing developers – welcome! Press Statement By Penang Pakatan Rakyat Chair And Caretaker Penang Chief Minister Lim Guan Eng In Penang On 2.5.2013. 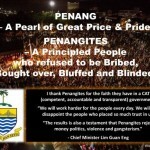 PR Penang Under Siege From The Triple Unholy Alliance Of BN, 1 Malaysia Penang Welfare Club And Unscrupulous Housing Developers Whose Victory In Penang Will Not Only Result In Return Of Corruption But Also Deprive Penangites Of Their Homes. PR Penang is under siege in this general elections from the triple unholy alliance of BN, 1Malaysia Penang Welfare Club and unscrupulous housing developers. Clearly a BN victory in Penang will not only result in return of corruption but also deprive 4,000 families in Penang of their homes. The latest to join BN’s effort to seize power in Penang are unscrupulous housing developers with a chequered history of not only fulfilling their promises to their buyers with defective products but also causing them heartbreak by failing to give out strata titles as required by the law. 1 Malaysia Penang Welfare Club had created an impact in a big way in Penang by providing free food, free drinks, free vegetables, free pork and giving money freely to all NGOs and organizations. They even organized a world-class free mega concert with famous international performers with the latest expensive LEDs screens. Never before had Penangites see so much money being spent or so much free food available in so many coffeeshops. 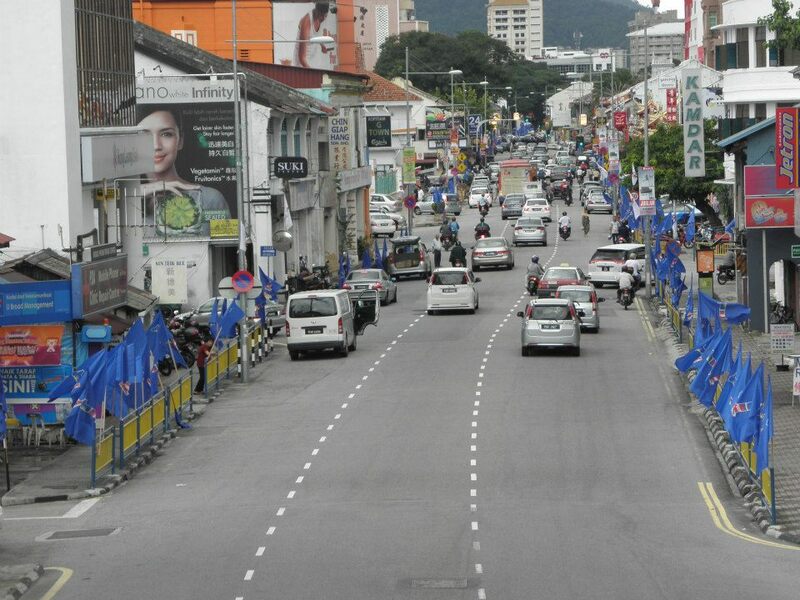 1 Malaysia Penang Welfare Club even created history by putting up more flags than BN and PR parties combined. Some estimate that 300,000 flags until the blue sky could not be seen but only seeing blue 1 Malaysia flags. So many were the 1 Malaysia flags, that they were just simply put up everywhere defacing public premises and even our iron sculptures in George Town. 1 Malaysia Penang Welfare Club is openly supporting BN.It refuses to divulge the source of its funds raising serious questions whether the tens and tens of millions of ringgit spent is clean. The latest group to join in this effort to help BN seize power in Penang, are the discredited developers, who had previously kept a low profile after their businesses collapsed. I am surprised that these developers can now boast openly about providing quality affordable housing when they had failed to deliver on their own projects in the past. How can these unscrupulous developers talk about providing a house for every family when their actions will result in 4,000 families in Air Putih, Air Itam and Paya Terubong left without a roof over their heads. Can the 4,000 families trust the word of these unscrupulous developers when they had failed to deliver even strata titles to more than 10,000 buyers throughout Penang? Caretaker Prime Minister Datuk Seri Najib Tun Razak is Disrespectful to existing 4,000 families, Desperate in making new empty election promises and Dishonest in repeating unfulfilled recycled promises that the federal government will build 9,999 units of low and medium-cost apartments in the 3 state constituencies of Air Putih, Air Itam and Paya Terubong. Najib is also dishonest when he promised that those those living in the 962 one-bedroom houses in Kampung Melayu will be given three-bedroom homes in the Air Itam affordable homes scheme. This is another unfulfilled promise by BN over 10 years that has been recycled at every general election, the last occasion done by Minister in the Prime Minister’s Department Tan Sri Nor Mohamad Yakcop in 2008, that has never been delivered. BN has shown its true colours that it is ganging up with unscrupulous developers and 1 Malaysia Penang Welfare Club with dubious source of funds, against a people-centric PR state government that has earned the enmity of these wealthy developers because PR implemented a system based on rule of law. 1free for all! want? 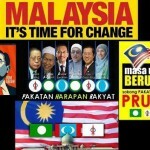 sure… as 1malaysia is here!